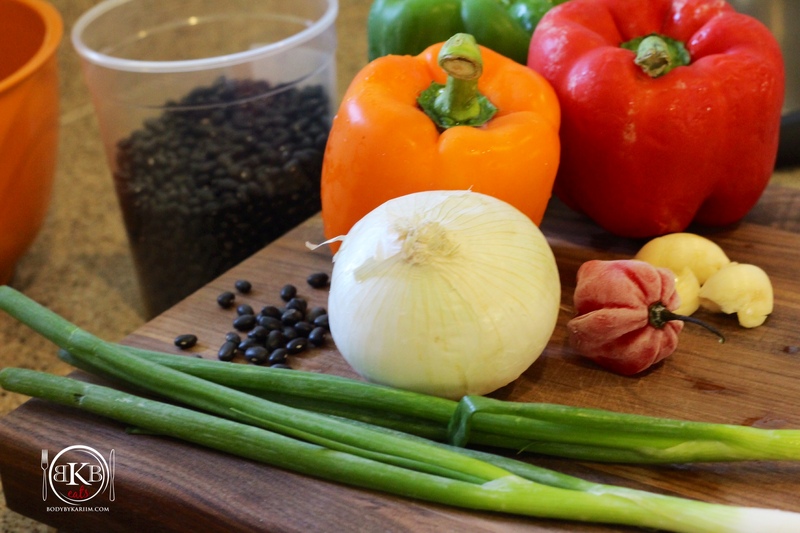 If you love the convenience of a one- dish meal simmering on the stovetop, this Homemade Black Bean Chili is for you! So fresh tasting and easy to prepare. Perfect protein packed – comfort food for a cold winter day. 2. Drain water and rinse beans very well. 3. Place beans back in pot. & Add water 1 inch above the beans. Add 1/2 tablespoon of sea salt to water and turn on Med-High heat until it begins to boil. Once boiling, turn on low and place top on pot. Cook for 2 hrs or until beans are tender. 1. Turn on pan to Med-High heat and add 1 tablespoon of vegetable oil. 2. Add meat, cook until done and then drain. 3. 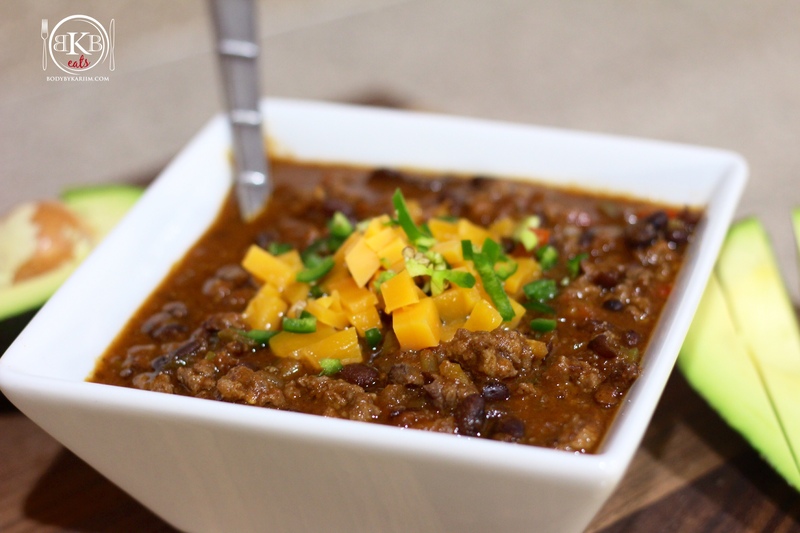 Place meat in pot and add 1 tablespoon of vegetable oil, chopped onion, bell peppers, jalapeño, tomatoes, garlic, tomato sauce, and Black Beans. 4. Turn pot on Med-High heat and chili powder, cumin, and sea salt. Stir all ingredients together and let simmer. Turn heat to low and let cook 45mins – 1hr. 5. Serve in bowl, top with cheddar and jalapeños. OR WHATEVER YOU LIKE 🙂 *Avocados are also a tasty addition. Enjoy!